Don Prevost, a former marine and pilot now head of the local Civil Air Patrol attended the Derby Rally at Whiteman AFB this past weekend and at the invitation of Chuck Boots and Rick McKernan came to explore more about our club. Don explained briefly about the Civil Air Patrol, an auxiliary of the U.S, Air Force. There are three components: Cadet Development (leadership and character), Emergency Service (disaster assistance and search and rescue) and Aerospace Education (promoting careers for future pilots). President Musterman suggested he may want to return to present one of our noon programs. Nadia Ryakhmytulloc, a mother of twin girls who works as General Manager at the Candlelight Suites, came to explore the possibility of getting more involved with kids by joining the Optimists. No one admits to being older this week. Sign-in. Carl Scott made another contribution to the pig which goes to the childhood cancer fund. New Member recruitment event – C.O. reported the venue for the April 6th YOHO event is 5:00 to 7:00 at The Tap Room on Green Meadows. Whiteman AFB Derby event update – Rick and Chuck reported the event was extremely well organized. This indoor event took place in the P38 airplane hangar. The course surface within the hangar is a flat, level space the size of two football fields. Gravity propulsion was provided by 7’ ramps with 30 degree inclines specially built by the air force engineering crew. Each participant was required to push their derby car up the ramp to the starting position. Luckily, there were some volunteers who assisted with this task. The kids selected from the 12 squadrons assigned to the base to compete against one another qualifying on the first day and competing for points to represent the base in Akron on the second day. With the flat, level racing surface and finely tuned cars, two of the races were won or lost by as little as .003 and .001 of a second. If was reported after the race, the base commander wants to make this an annual event. Bike Safety May 20th – Mary Dewey reported this event is still on schedule. 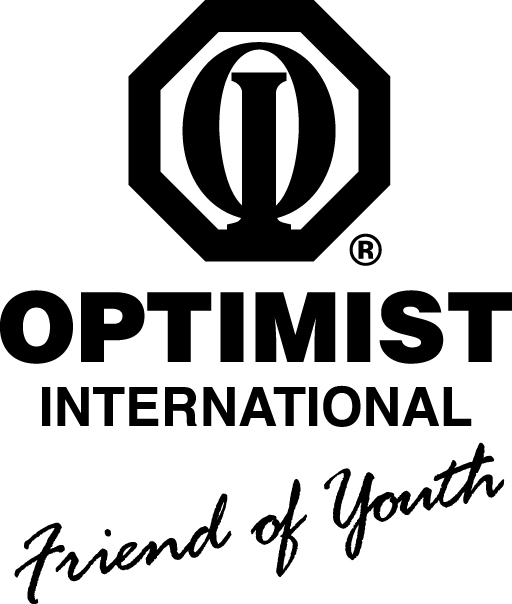 Art in the Park Optimist will have a 10’x 30 tent directly adjacent to the Kids’ Art Tent where we will display Optimists events, especially Bike Safety and the Soap Box Derby. This week end event is scheduled for June 3 -4. Scholarships Cyrilla Galbreath reported she received the first batch of applicants (30 applicants from Rock Bridge H.S) Scholarships will be announced March 17. One more volunteer is needed for judging and reading applications. Contact Cyrilla (573) 999-0373. Board Meeting Thursday, March 16 the Board agenda will include the grant request from the Columbia Food Bank, the replacement of the 1st Vice President and new officers for 2017-2018. Officer Justin Anthony gave a brief description of the final two games his team played at Lange Middle School this past Saturday morning. The first games was such a blow-out for his team he had his players lay off for the last half of the game to contain their win by only 20 points. The second game was more of a nail biter. Down by 20 points at half time, Coach Anthony gave his team what had to have been a truly inspiring half time talk. The Optimist supported team outplayed their opponent to tie the score in the second half. With less than 5 seconds remaining, one of the Optimist team players threw up the ball which, defying the laws of physics, passed through the hoop after hitting the top of the backboard. The 3-point basket went unchallenged in the final seconds of the game to give the team an undefeated season and an emotional high for the team players. Officer Anthony continued on to discuss the outreach program of the Columbia Police Department. He is a three year veteran of the Columbia Police Department assigned to the Community Policing Program targeting three of the most critical neighborhoods in the city. The neighborhoods are identified in the city’s Strategic Plan as North, Central and East neighborhoods. (The Optimist’s clubhouse is located in the center of the Central neighborhood which is opened to the Ridgeway Neighborhood Association helping to stabilize this neighborhood.) Officers Anthony and Hesse are assigned to the Central Neighborhood. According to the city, the 7200 residents of this neighborhood “were 75% white and 18% black in 2010. The median household income was about $39,000…. About 79 percent of students living there receive free or reduced-price lunches.” Officer Anthony reported the basketball players are all at-risk kids, many of whose parents may be in prison or are ex-offenders. Team players must maintain their grades and show their report cards to maintain team status. Low grades result in a referral to tutoring. Employment help is also offered to some of the players. In addition, players are asked to write an essay on their life’s goal. And, goals as reported in these essay range from becoming a business manager to “I don’t know”. The Community Policing Program had its origins in the Community Outreach Program in Douglas Park started five years ago. Incorporated into the city’s Strategic Plan, the program deploys teams of two officers assigned to each of the three targeted neighborhoods. According to Officer Anthony community policing is focused more on the greater good than enforcing minor infractions of the law. These neighborhoods were identified b socio-economic factors including unemployment rates, low median household income and the number of free or reduce lunches in local schools. This is a three year pilot program lasting through 2019. It is anticipated this program foreshadows a city wide community policing program. However, additional police officers will be required to staff the expanded program. Officer Anthony cited metrics of program success including an increase level of trust between community members and police and a decrease in time to close criminal cases resulting from information sharing between community members and the police. The police chief has requested 50 new officers to increase public safety by moving to community policing.